Washington, D.C. — U.S. 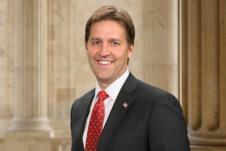 Senator Ben Sasse, a member of the Senate Judiciary Committee, voted for Brian Buescher’s nomination to be U.S. District Judge for the District of Nebraska. Mr. Buescher’s nomination now advances to the full Senate. Last November, Sasse chaired and introduced Buescher at his nomination hearing. Last month after Senate Judiciary Committee Democrats questioned Buescher for his membership in the Knights of Columbus, Senator Sasse led a Senate resolution to reaffirm religious liberty and condemn religious tests for federal officers. The Senate unanimously adopted the resolution.